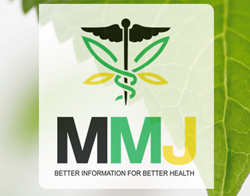 MMJ International Holdings, the premier medical cannabis research company that is advancing the science of medical marijuana through FDA patient clinical research and the operation of medical cannabis healthcare businesses, today commented on Attorney General Jeff Sessions and the Department of Justice January 4, 2018 announcement for the U.S. state-licensed cannabis companies. MMJ BioScience LLC is a U.S. based biopharmaceutical company engaged in the development of cannabinoid-based drugs under U.S. Food and Drug Administration (FDA) protocols. The Company indicated that the federal governments recent actions do not affect its drug development activities, nor its current or contemplated business plans.